Aromatic rice (Oryza sativa L.) cultivars are strong aromatic rice cultivars which can thrive well in rice fields prone to flood, drought and other soil constraints. The present investigation was undertaken to determine a suitable media compositions for callus induction and regeneration using immature embryo of six aromatic grown rice cultivars of Bangladesh, namely, Chinigura, Kalijira, Radhuni Pagal, Modhumala, Kataribog and Mohonbhog. For callus induction different concentrations and combinations of 2, 4-Dichlorophenoxyaceticacid (2, 4-D) along with NAA were evaluated. Maximum callus induction (97.22%) was observed in Kalijira when 2 mg/L of 2, 4-D and 0.5 mg/l NAA was used and less Modhumala (66.67%) and remaining cultivars showed moderate. For regeneration initially different concentrations and combinations of 6-BenzylAminoPurine (BAP) and Indole-3-Acetic Acid (IBA) were tested. Maximum regeneration frequency (91.67%) was observed Kalijira when the optimum concentrations and combinations of 0.5 mg/l of BAP + 0.1 of mg/l IBA were used. 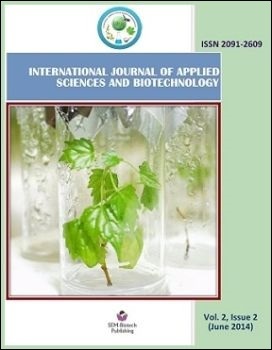 Presently optimized regeneration method holds promise for facilitating the deployment of agronomical important trait through genetic transformation for the improvement of this important food crops.